The Ankara 4th High Criminal Court on Tuesday sentenced Sedat Caner, the personal doctor of former President Abdullah Gül, to seven-and-a-half years in prison over his affiliation with the faith-based Gülen movement. Caner, who was arrested on Aug. 4, had been working as head of health affairs in the presidency between 2012 and 2015. He was dismissed by a government decree during a now-ended state of emergency declared after a coup attempt in 2016. The Turkish government accuses the Gülen movement of orchestrating the coup, although it denies any involvement. 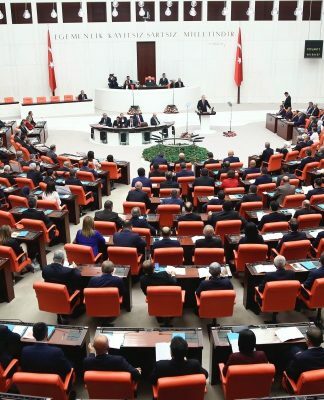 Ankara has dismissed some 140,000 public servants with the decrees. According to the indictment, Caner was accused of having close ties with “known members” of the Gülen movement, depositing a large amount of money to Bank Asya, a bank affiliated with the movement, and using ByLock, a smartphone application that Turkish officials believe was a tool of communication among Gülen followers. The court ruled for Caner’s release pending appeal while imposing a travel ban.